With the announcement that I will be moving to a new domain early next year, I feel it’s the perfect time to combine it with a new mapping challenge. Section 1 should be a race. A race against time where the player has to move and move fast. We call that running and that’s what I want the player to have to do. I imagine that at this point the player has little or no chance of winning if they stop and fight. Sometimes you just gotta RUN and fight another day. Section 2 is about thinking. Solving a puzzle, find a way around an obstacle, something where brains not brawns are needed. Section 3 is about shooting. Either killing lots of enemies or some sort of accuracy challenge. Could be with any weapon in any situation. Section 4 is about that feeling of survival. It could be reaching a goal seen at the beginning or just moving onto to another adventure. Use of music and setting will be very important in this section. As a whole, the map should take the player through each section, either clearly defined or subtly if you prefer. As this is a challenge, I am more interested in the whole than the details. 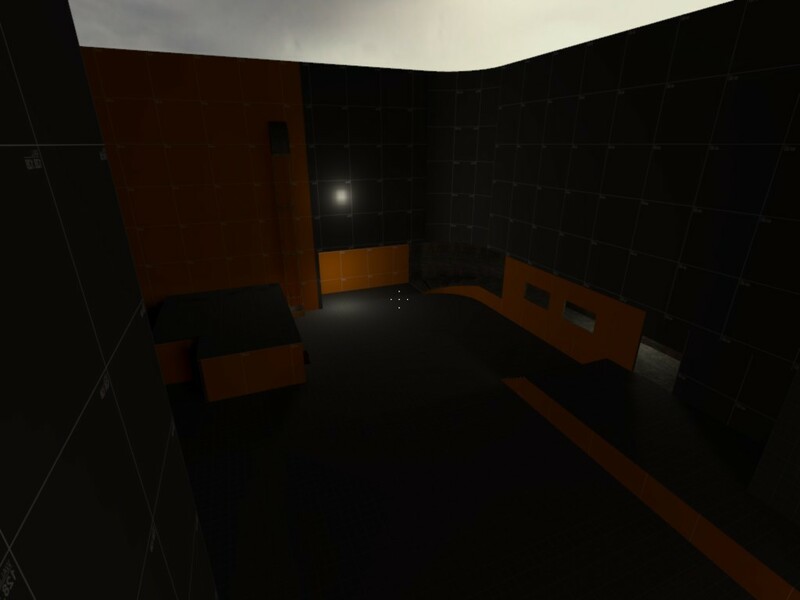 I will even accept orange dev textures if the actual gameplay is good enough,a lthough you have MUCH longer than usual, so I would prefer properly polished entries. This challenge has a much longer time span than most others. That’s just over 5 weeks. DO NOT GET TOO AMBITIOUS. If you can’t build it in 3 1/2 weeks then think smaller. Something is bound to delay your progress. Leave time for testing, bug fixing and polishing! I highly recommend The Beta Testers Collective. But since it is holiday time, please make sure you give them plenty of time to test. Of course, you can get anybody you want to test your maps, but the BTC are very good at it and provide excellent feedback. It’s been a while since I provided prize money as it both encourages and discourages mappers. I have yet to decide the exact amount in the prize fund but I think it will be around $100 US Dollars. If you would like to contribute some cash to add to the fund, please let me know. Since I am putting the money up (from your kind donations), I will select the winner. If you are serious about entering and want to win, I suggest playing the other mapping competitions/challenges and see which ones I preferred. By entering the competition you grant PlanetPhillip.Com and RunThinkShootLive.Com the right to release the map as part of the RTSLVille Mod. All entries must be sent to: planetphillip@gmail.com no later than the deadline. There is no bonus map for this challenge. I think this is the most open theme I have had in a long time, but also focsued enough that it provides clear guidelines for all modders. A great commemoration to a fairly large change in the site, I know you’ve had this one in the works for a while. Workload providing, I’ll try creating something for this one. I’ve gotten an idea I’m pretty happy with, only problem is it will require a pretty intensive voice acted lead to pull off. Is there a good place I can go to in order to collab with a confident VA? I would use my own voice if my recording equipment wasn’t a £10 supermarket headset. I am sure somebody can help. As a very last resort, I will record anything you need. Hey, does anyone know if the player can move the camera around with their mouse when confined by a point_viewconstraint? P.S. This does involve a puzzle idea I have that I might include as the think requirement for this competition. You might have more success if you experimented with the player_speedmod entity for this. You can also use the game_ui entity to constrain the player. And while active you can have certain button presses fire outputs I’m not exactly sure what you want to be doing though. That did get pretty close to what I wanted, but actually using it is really clunky and awkward. I might end up using this idea at some point if I end up creating a new entity for it, but I know I wouldn’t be able to get the map completed if I ended up doing this, plus it probably wouldn’t be allowed anyways. Better to use one day to see how the mechanic works right away and change it early rather than waiting until the end and finding out that it doesn’t work. What about the choreo_vehicle entity? I can’t remember the name exactly, but its used in that scene in ep2_outland_01 when the hunter pins the player beneath some rubble. With a large amount of time and with work winding down I hope to participate but I said that last time. Can’t wait to see what people do. I really hope that a runville happens in the future because often I think parkour in half life can be good (if done right). 1. 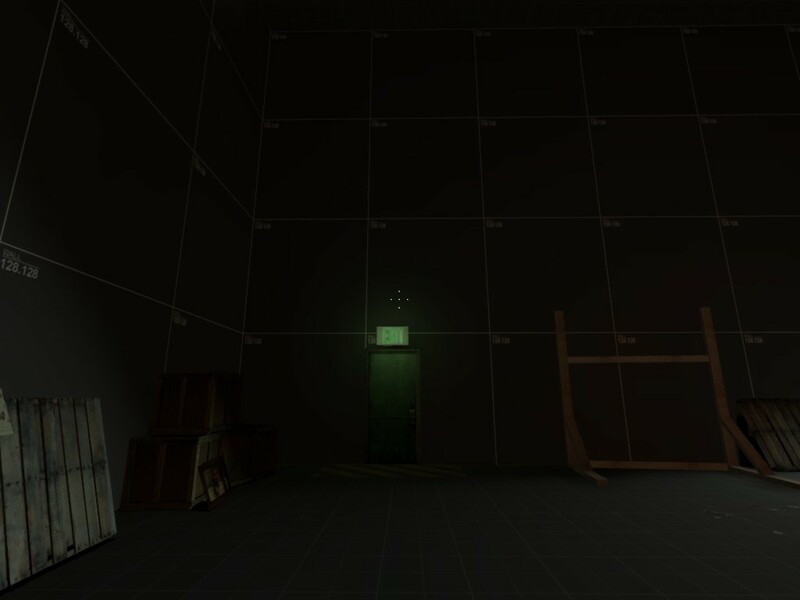 Can we have areas in between the sections, where you get to chill out and solve a few minor puzzles and pick up supplies or should it be one section after the other? 2. 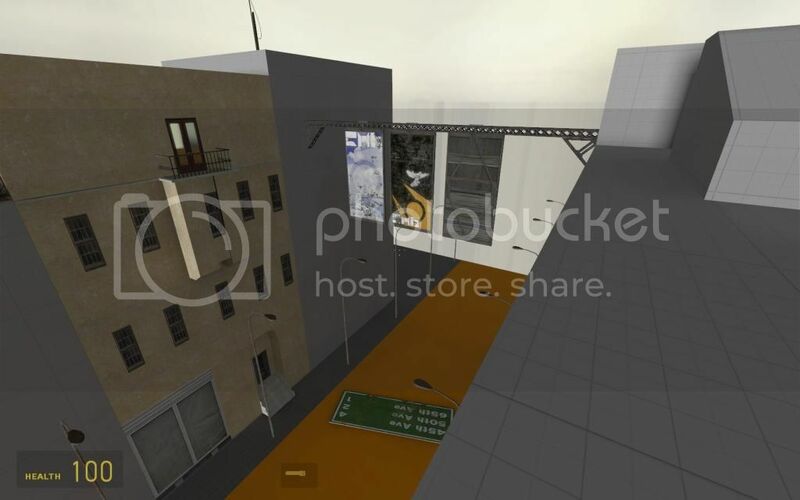 In the “Think” section, can we have really hard, mind-bending puzzles that makes no sense at all or should it be the “classic” Half Life puzzles? And I must say, so far, I really like layout of the new site. I belive you said you were working with a coder to construct the site? 2. Yes, you can have “really hard, mind-bending puzzles that makes no sense at all”, but you are unlikely to win and people will hate you. Yes, I am working with Jan, who is helping to get certain features working and also the chap who made the recommendation system is involved too. Playing around with ideas at the moment, just a few questions. Does each section have to be presented in the given order or can mappers mix it up? Can you repeat the Run, Think, Shoot, Live sequence either partially or in full? Is the running section literally running or can the player use vehicles and generally just move fast? Am I right in thinking “Live” is essentially the narrative resolution of the map? Can I punctuate some sections with elements from another section? So for example in the run section could I have the player shoot a lock off the door or complete a simple navigation puzzle? Note that I’m not trying to suggest that I should or shouldn’t be able to do any of this I just want to be clear what the parameters are. It must be RUN, Shoot, Think, Live. No order change is allowed. I would prefer not, but I will allow it. I will allow the use of vehicles or any other method of moving fast. Yes, but it must be very clear the theme of each section. It must be RUN, Shoot, Think, Live. Well, when writing out a list, your brain will tend to order things alphabetically if they are located in the middle of the list, for the same reason as having a misspelling in the middle of a word can go unnoticed if all the correct letters are present. Yeah, sorry, should be RUN, THINK, SHOOT, LOVE. Haha, just joking. Ah! It’s like an obstacle course! Kinda like Boot Camp on OF! Umm… the training map not the multiplayer one. 😛 But good idea! I can’t wait to see what mappers have in store for us! This might be a dumb question, but will you allow an exploratory section before “RUN”? I want to have a few rooms and corridors prior to the run section in order to establish the story and setting. Or are you after the start of the map to be this mad chase? Yes, I will allow this. Should I email myself so I can get my written permission from myself to use my custom assets in my map? I don’t want to just steal my own content, after all. I might get mad at me if I do that. I assume he needs any documents showing that those files are allowed to be redistributed, basically meaning that you just need to write something for him saying that he is allowed to redistribute the models with RSTLville. Here’s a good question, do you have to define where each section starts and ends? It would be good to have 2-3 sections combining with each over (eg. run from an invincible enemy, then get away and open a gate to the next area, then run again from the same enemy) as it would solve a problem that I instantly saw with this map challenge: pacing. I don’t have a problem overlapping the start and end of sections but each section should be easily identifiable. I don’t believe pacing is an inherent issue with this challenge. In fact, I think each section can flow from one another and build to a climax very well. Quick question: In the SHOOT section, are we only allowed to use guns or can we use the crowbar and gravitygun to fight with? I would prefer SHOOT, but I also recognize that with EP2 the gravity gun is always fun to use. So, yes, the crowbar and GG can be used in this section. Well, I know that other mappers have created diaries down here in the past, so I thought it would be a cool idea to share mine, especially since I have a rough play through of the “Shoot” section for my competition entry. First let me set the premise for my map. My basic idea is that you are being chased by a combine helicopter down river on the air boat to a large dam. There will be some puzzle involving hydraulic things, although I’m still trying to work out why the puzzle would actually be needed other than just being a break after the chase. Anyways, when you finish the puzzle you exit out on to the top of the dam, fighting a few combine soldiers and ultimately destroying the helicopter to finish off the level. Anyways I also have two screenshots of the end with the dam, mainly working on the game play. I still have a few path changes I want to make with the helicopter before sending this section off for beta testing. Anyways, all but the last screenshot on my steam account are pictures of the map. You can find them here. There is also a goofy problem from a previous time I tried to enter a competition as well… sadly I can’t seem to find that map anymore. I find that dam maps, similar to bridge maps, are always kind of hard to pull off because of what the player can see from that vantage point. I will use this post as a diary. I have made the impossible and created the gameplay first before I put in pretty stuff! Yay me! On a more serious note, I have the basic Idea of the RUN section down and have a rough map of it. Without spoiling too much, even I think its intensive every time I playtest it. Not much to show yet but maybe I’ll post some screenies soon. I have a feeling this is part of your puzzle. So now I have a very rough version of RUN and SHOOT. Now, for my weakness. Puzzles. I know! What if you would use a car battery to open a door? GENIUS! BOX STACKING! That’s my favourite. You know I was joking, right? I would like to suggest you add a twist on the squashing theme. I can’t be more specific because that might be unfair to the other entrants. I promise you when you see my “Think” section in it’s final state you won’t even recognize it! How do I know you didn’t have your fingers crossed behind your back when you typed “promise”? I think the walls are moving too quickly. You might want to slow it down a bit to give the player more time to stack their boxes. Okay, I can’t work on this any longer, that is why I send of the final version to the BTC. I could do better. Much better, but I don’t want this to go in my abandoned projects folder so I will begin the final phases and finally release a map. I will post a few screenshots when I have something pretty to show. I am really exited to see what people have came up with. Back to the basics. You’ll see what I mean. A little late to just be starting but I’ve got a fairly solid idea of what I want to do now. Don’t know if you’re still working on this. I like the setup. It reminds me a bit of the sniping scene in Mirror’s Edge. Large banners are definitely something the Combine would do. That green road sign always bugged me though – looks too American for some random Eastern European city. You probably have a few too many street lamps. I’m working on this still but I’m not expecting to finish in time for the competition. I let myself get sidetracked with other stuff and now I’m behind (I probably shouldn’t have stopped to do a box stacking joke map). I could rush something out but I don’t want to release another crap map. I did think the road sign looked out of place for Eastern Europe, it’s in English too which a lot of the stuff isn’t. But I figured most players wouldn’t give it much thought. As for the lampposts they come 4 pairs to a prop. I may remove them entirely as there is a risk of them breaking the players fall meaning frustration later on. You will have to outrun a convoy so in this scenario a hard fail is preferable to a soft fail. Today I started on my entry for this ~ville challenge. I like the shape of it so far. By the way, I did not enter this. I had an idea going into it, but after trying to size it up, it just didn’t fit together as well as I would have hoped. I fear very few people did. Might be the last one ever. If you ask me (and I realize no one did), 30 days is just too long. We were already headed into a busy holiday season and so the proposition “Do I really want to spend my whole December banging away on a map?” was not appealing to me. The great thing about the 10-15 day comps is that, although there is less time, you know that they’ll be over and done with in a couple weeks and you can move on to something else. It’s about as instant a gratification as you can have for mapping. A month or longer, and then it turns into a major commitment. I also don’t feel this comment system is conducive to the lively discussions that sustain a longer comp like Interlopers’ Forgotten Journey. I didn’t enter that comp either (for similar reasons), but the excitement of the mappers could feed on itself because they would frequently post updates in their own threads and get encouragement or feedback on their work. Why would you say that Phillip? Even if just a couple people entered this time that shouldn’t be a reason to stop them entirely. I think Horrorville turned out really good and just from the comments I feel that there is a lot of interest in this one. I personally would be really sad to see the Ville go. I do agree with JGs suggestions though. Some sort of place to share progress, get feedback and generally keep the momentum going would be really nice. Maybe something to have in mind for the new site? Hm, if this might really be the last one that’s at least an incentive for me to give my best. I’d say my progress is now officially at 50%. Gotta hustle the hell up. Yeah, me too. I hope I can at least finish it up to its playable. I wish I could have started a week earlier. Sorry to hear that Phillip, I’ve always enjoyed these competitions. I have been working on a map for this one but didn’t comment about it because I wasn’t sure I would be able to get it done. It still needs a lot of work and I don’t know if I’ll have time to do the idea justice but I’ll definitely try and get something sent to you by the deadline. So not only have I been pretty busy for the past few days, but the graphics card on my gaming PC decided to kick the bucket last night. I’m hoping I can get the map compiled on my laptop, but things seem to be conspiring against me on this one! DUDE! You are going to get 500 emails from mappers asking you to complete their map now. 😀 Thank you for the offer but I managed to get it done eventually. I think this will be the first time ever, that I am entering and finishing a map for a planetphillip mapping competition. The map is more or less done, just ironing out some annoying bugs. I am so happy to hear that. Looking forward to playing it. Am I right in the assumption that the dealine at 12 PM means midnight on the 5th, aka the night between 5th and 6th? Or is it morning of the 5th, or midday? The pm, am stuff is always a bit confusing for me. I am finishing up my map and need to plan my time for the final stretch. No, not midnight but midday. Oh dear, Phillip has fallen off the radar again. I should be able to release the mod soon.